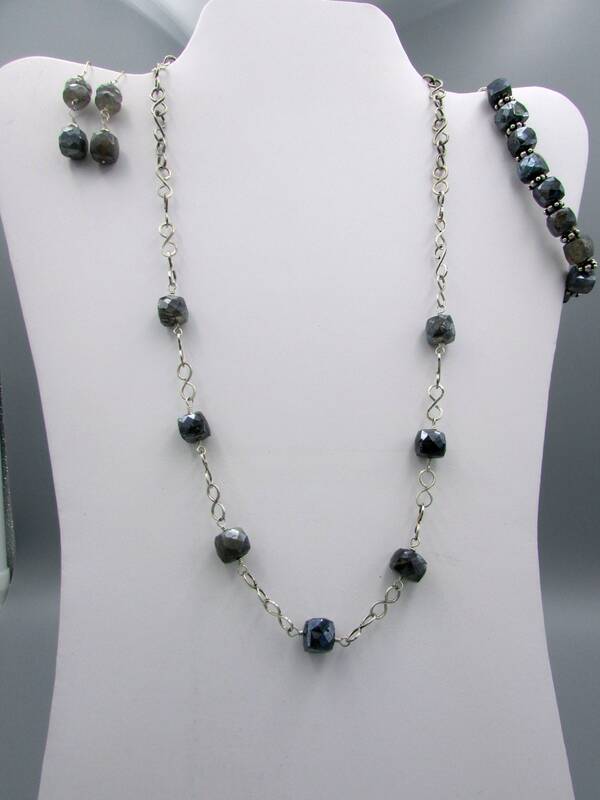 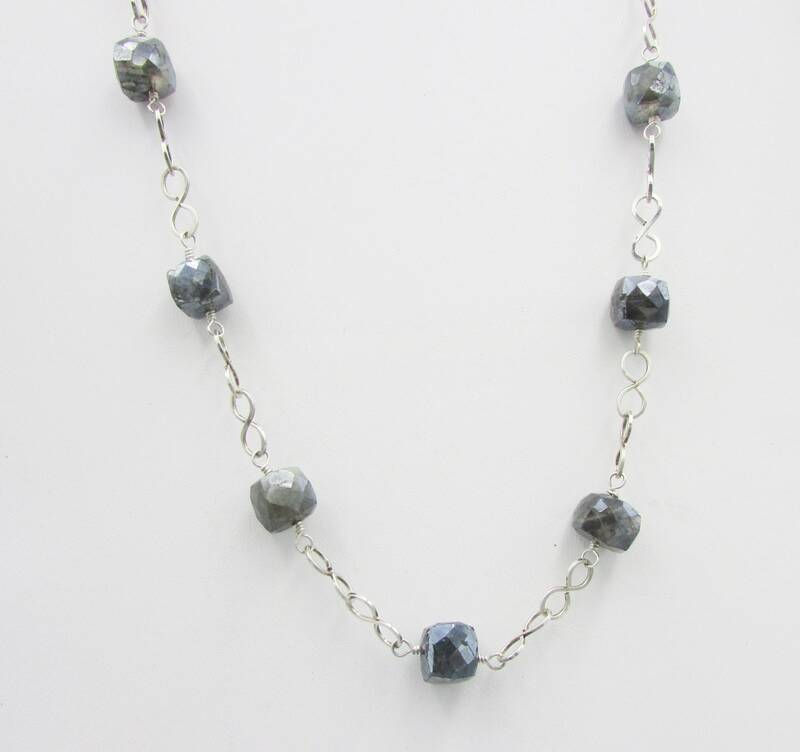 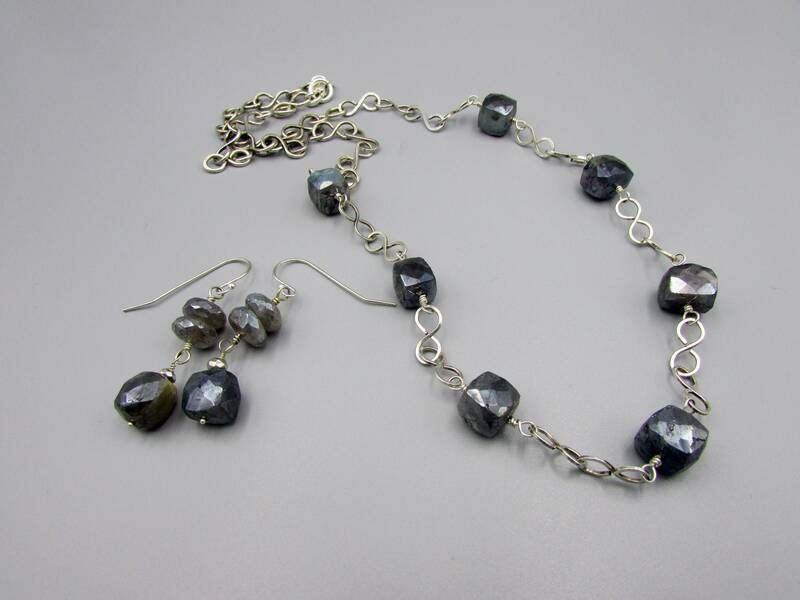 This beautiful labradorite matching jewelry set is made with 10mm square faceted mystic labradorite gemstones and hand forged sterling silver chain. 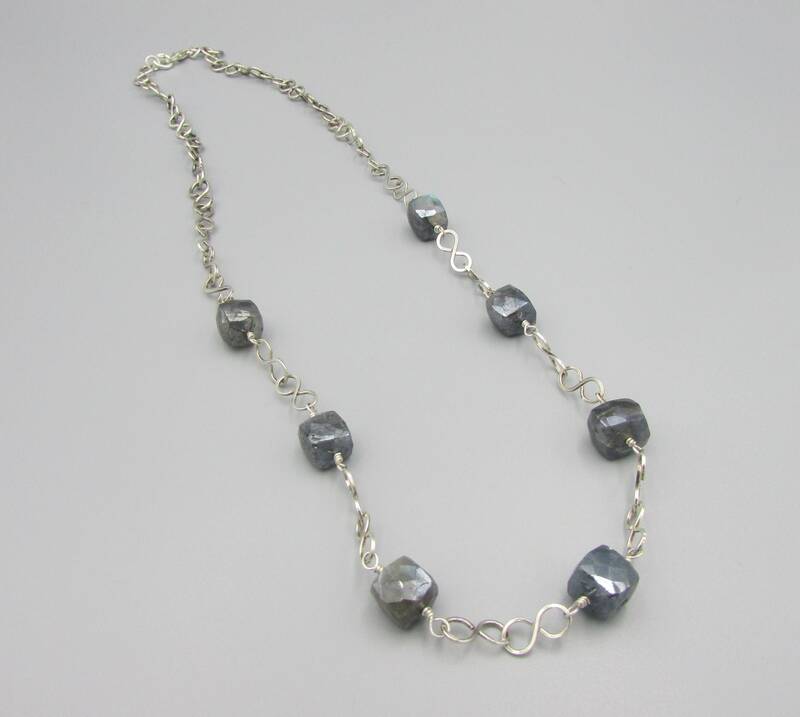 The necklace is handmade sterling silver figure eight link chain with seven gemstone and 21 inches long. 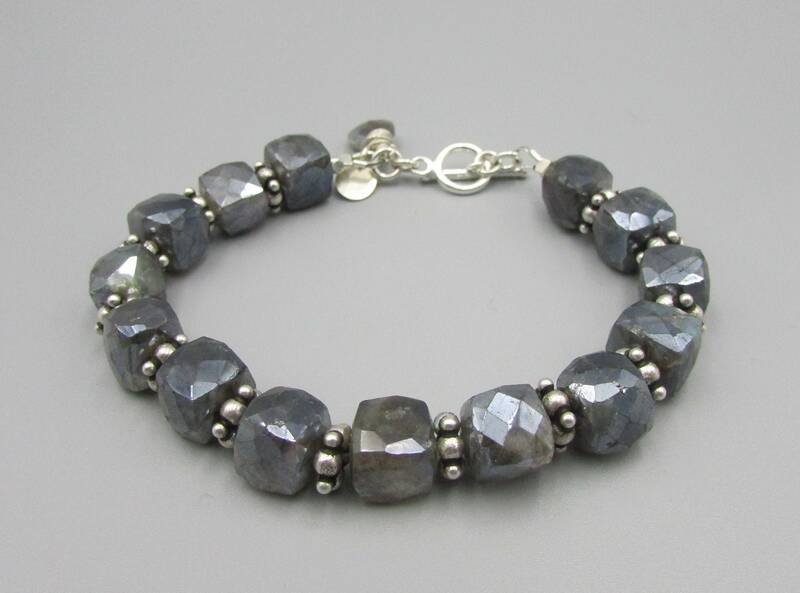 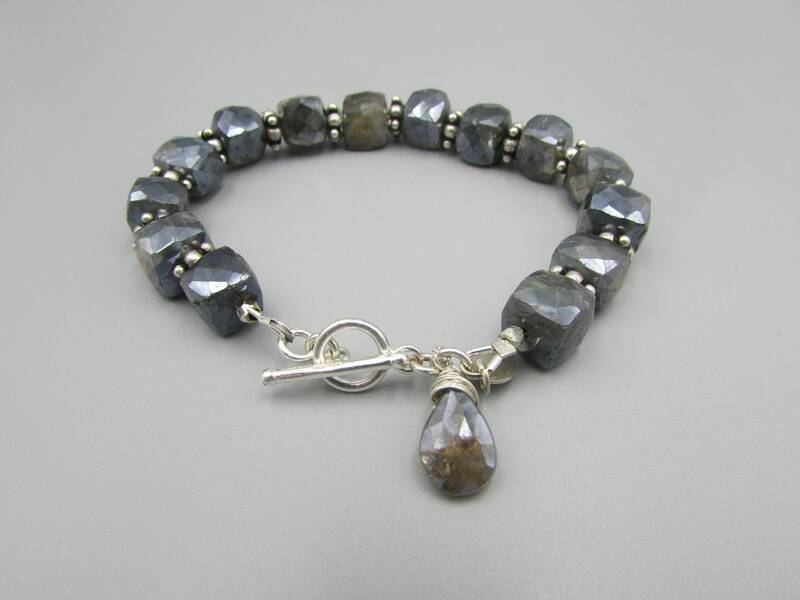 The bracelet has 10mm mystic labradorite gemstone with 8mm fancy daisy styled sterling silver square spacers finished with a sterling toggle and a teardrop labradorite gemstone, it is 7 1/2 inches long. 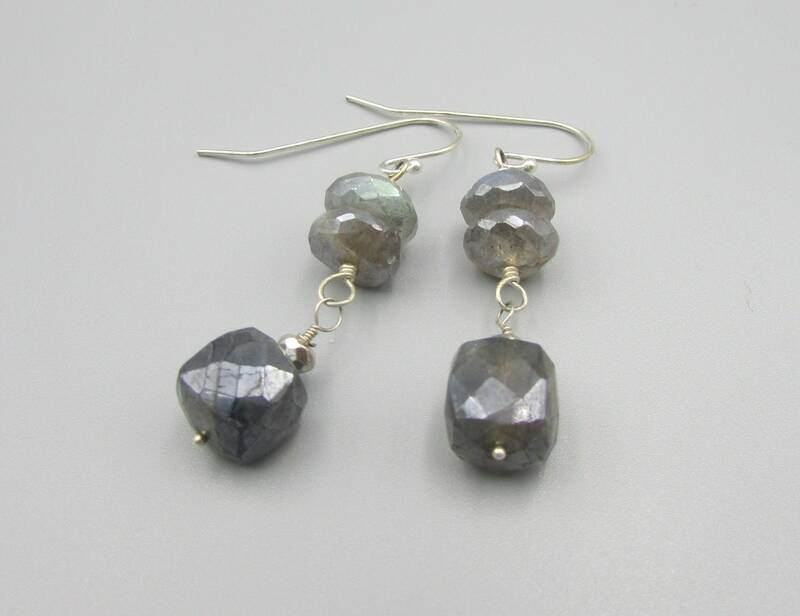 The earrings have a 10mm dangle bead added with two 10mm round faceted labradorite gemstones and a 4mm silver pyrite bead wire wrapped with sterling wire and finished with sterling ear wires. 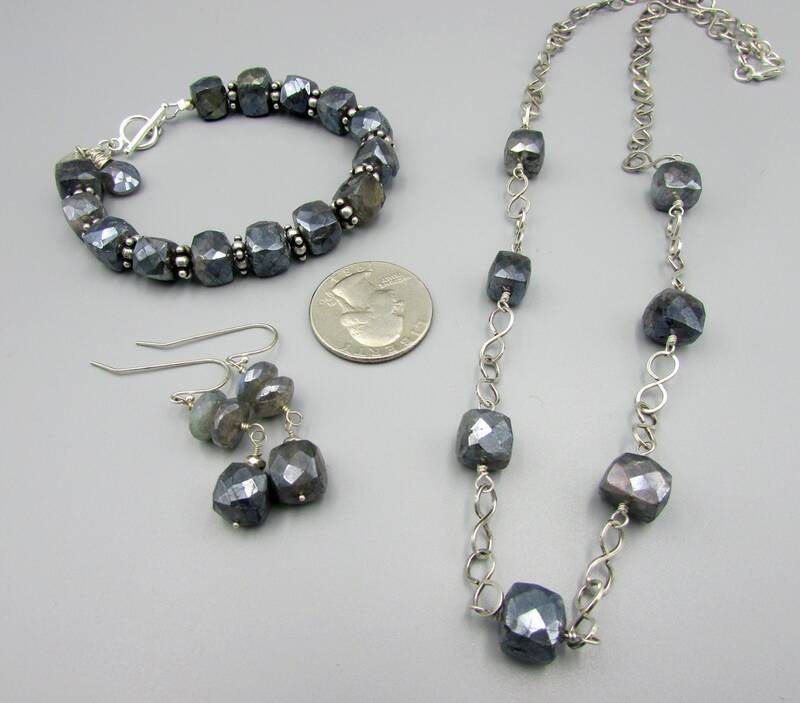 Earrings are 1 1/2 inches long. 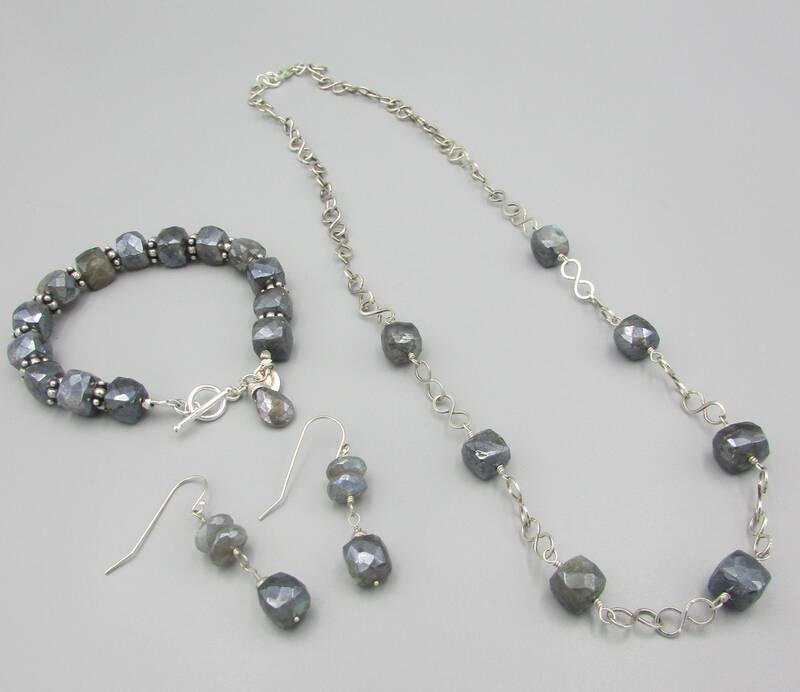 Mystic labradorite is a coating placed over the gemstone to give it a wonderful sparkle and luminous shine. 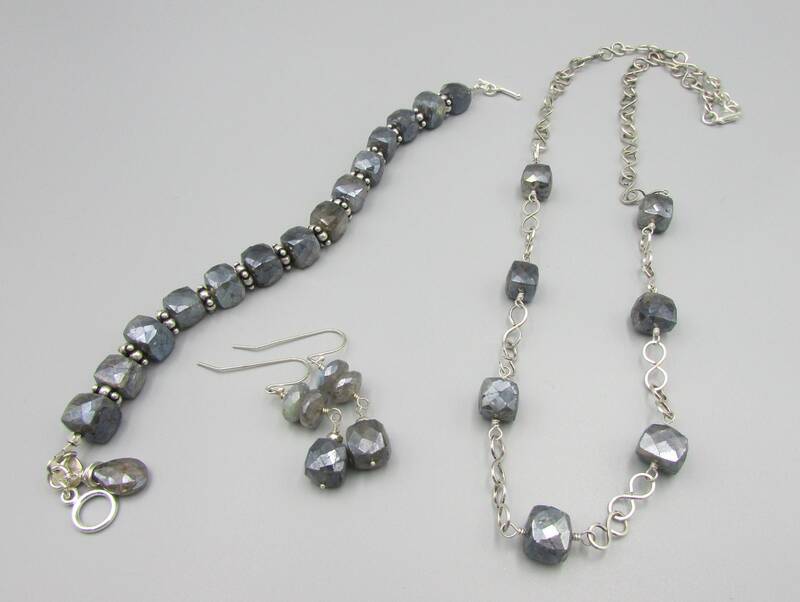 A truly beautiful jewelry set.